Dry cleaning bills, and the time spent driving to and from the dry cleaners, can add up. 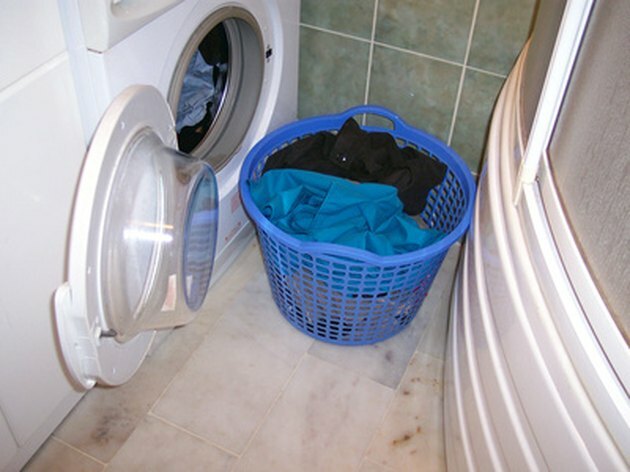 Save money and driving time by dry-cleaning your clothes in a front-loading washing machine that has a drying cycle. Several manufacturers, such as LG, sell washing machines that also dry clothes. If you do not have an all-in-one machine, use a dryer to dry-clean your clothes at home. Put the clothing in a home dry cleaning bag. Do not fill the bag more than halfway full, because a full bag will not allow clothes to tumble and the dry cleaning cloth to penetrate all around the clothing. Put a dry cleaning cloth in the bag, and zip it shut. Put the bag in your front-loading washing and drying machine, and set it on a drying cycle. Consult the home dry cleaning kit to determine which heat setting to use. Many dry cleaning kits instruct you to use medium heat. Tumble the dry cleaning for 30 minutes, or according to the manufacturer's instructions. Immediately remove the clothes from the dryer after the cycle ends. The clothes should be slightly damp. Throw away the dry cleaning cloth. Hang the clothes immediately to prevent them from developing wrinkles. You can use home dry cleaning bags multiple times. Dryel: How Does Dryel Work?